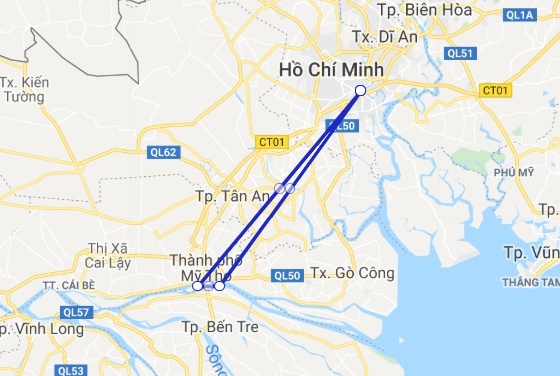 07.30 - 08.00AM: Leaving the hustle and bustle of Ho Chi Minh City and start your trip to depart for My Tho, the town lies on the left side of the Mekong River. Boarding the sampan and cruising down the river around the four beautiful islands known as Dragon, Unicorn, Phoenix and Tortoise islands. Note: If your hotel is located on some streets such as Le Duan, Hai Ba Trung, Thi Sach, Thai Van Lung,Ton Đuc Thang, Mac Đinh Chi, Le Thanh Ton, Ly Tu Trong, Ben Thanh, Nguyen Van Cu: We can offer free pickup at the hotel (we will reconfirm pickup possibility and pickup after the booking is made). Other places: come to the meeting point (220 De Tham, district 1) for pickup at 07.40AM. Nice trip to a place in the Mekong delta, where we enjoyed many local food products. Interesting visit but always a lot of other groups of tourist. Our guide was very nice, funny, sing well Vietnamese song, and speaks well English. Makong delta tour The guy was great and really helpful also very kind and funny. I really enjoyed and saw a lot of nice places and tried different food. 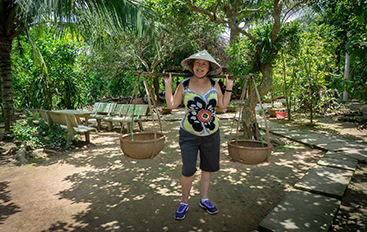 We booked the Mekong delta tour for 1 day. We visited bee farms, listened to some traditional music and saw the process of making coconut candies and ate a nice meal surrounded by the jungle. Although we don't really like organized tours, we liked the variety of the visits and the duration of the visit was perfect. This tour was definitely one of the highlights of my holiday. Our guide was hilarious, accommodating and made us feel very comfortable. My favourite parts of the day were the honey tea and the tuk tuk. The restaurant easily arranged my vegetarian/vegan meal. The only negative I have is that is was quite sad to see how the animals were kept on one of the islands, but this is of no fault to the tour. I hope to book another tour through this company again in the future!